Motor vehicle crashes are one of the most common causes of death for adolescents in the United States. Adolescents are 4 times more likely to be involved in a motor vehicle crash compared with drivers older than 20 years. A major risk factor for motor vehicle crashes is distracted driving. Any behavior that takes the driver’s eyes off the road (visual distraction). Any behavior that takes the driver’s hands off the steering wheel (manual distraction). Anything that takes the driver’s mind off driving (cognitive distraction). One of the most common forms of distracted driving for teens today is cell phones. Currently, 77% of drivers talk on their phones while driving, 81% of young adults write text messages while driving, and 92% of young adults read text messages while driving. Drivers are 23-fold more likely to crash if texting while driving. Texting is a behavior that has potential to create visual distraction by looking at the screen to read the text, manual distraction by using one’s hands to click the text or text back, and cognitive distraction if the driver is focusing on the content of the message. A recent study published in JAMA Pediatrics found that texting while driving negatively affects the driving performance of adolescents. In this study, teens who texted while driving a simulator had changes in speed as well as position in the road. The researchers found that texting could triple the risk of driving outside one’s lane. Thus, texting is a particularly dangerous behavior for adolescent drivers. Certain adolescent conditions and situations can also increase the risk of a motor vehicle crash, particularly if cell phones are being used. 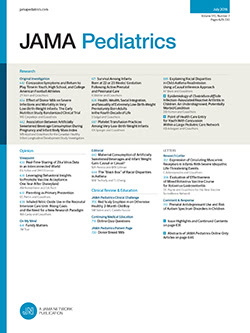 In this month’s study in JAMA Pediatrics, adolescents with attention-deficit/hyperactivity disorder had increased driving errors compared with those without attention-deficit/hyperactivity disorder. Adolescents who drive after using substances such as alcohol and marijuana are also at increased risk for a motor vehicle crash; that risk certainly increases if cell phones are being used while driving. Parents should always wear a seatbelt when driving and insist that passengers do as well. Parents should not use their own cell phones when driving. Especially when adolescents are new drivers, parents should review the rules of driving periodically. Teens should be taught that cell phones cannot be used while driving. You can provide your teen with practical tips such as keeping the phone on silent and in their backpack or purse to avoid temptation. Remind your teen that texting while driving is illegal in 41 states. If your child uses his or her phone while driving, let them know that a rule has been broken. Provide consequences of that behavior and be sure they are consistent if the behavior happens again. Some families choose to not allow their teen to drive for a certain period to reinforce that the privilege of driving is linked to safe driving behaviors. Other parents take away the phone for a period. Talk to your pediatrician about ways to discuss safe driving behaviors with your teen. To find this and other Advice for Patients articles, go to the Advice for Patients link on the JAMA Pediatrics website at jamapediatrics.com. The Advice for Patients feature is a public service of JAMA Pediatrics. The information and recommendations appearing on this page are appropriate in most instances, but they are not a substitute for medical diagnosis. For specific information concerning your child’s medical condition, JAMA Pediatrics suggests that you consult your child’s physician. This page may be photocopied noncommercially by physicians and other health care professionals to share with patients. To purchase bulk reprints, call 312/464-0776.